In the past, we’ve talked about the high cost of elder care. Now, I wanted to spend a bit of time talking about long term care (LTC) insurance. In general terms, LTC coverage applies to individuals who are not actually sick, but are not able to perform the basic “activities of daily living.” These include things like bathing, using the bathroom, dressing, eating, or transferring yourself in/out of a bed or chair. If the impairment is bad enough that it requires supervision to ensure safety, most LTC policies will kick in. Related: Do You Need Disability Insurance? According to the Department of Health and Human Services, about 70% of those aged 65 or older will require some sort of long term care during their lifetime. 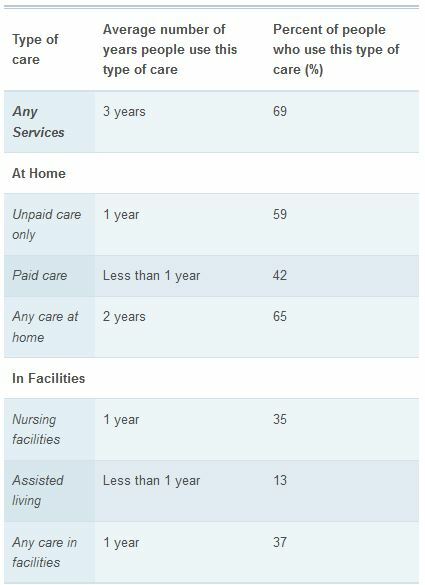 Over 40% require care in a nursing home. For the most part, traditional health insurance and Medicare won’t cover the costs associated with this care. In other words, you’re on your own. You’d be well-advised to plan ahead. What follows is a list of important considerations when it comes to choosing a long term care policy. This list is by no means exhaustive. It’s mainly based on things that I’ve run across while reading through my parents’ policies. But it at least gives you a good place to start. First and foremost, you’ll need to decide when to buy your policy. If you buy too soon, you may wind up paying for coverage that you don’t need yet. But if you wait too long, the premiums will be sky high. Also, the longer you wait, the more likely it is that an insurance company will reject your application. For reference, more than half of all policies are sold to those in the 55-64 age group. While an argument could be made for buying as early as age 45, the recommended age is 50. Another important consideration is how much coverage you’ll need. Obviously, more is better, but higher benefits come at increased cost. It really seems like this one falls into the “it depends” category. The costs associated with different types of care vary widely across the country. In other words, one size doesn’t fit all. How is my current health? What about my parents’ health — do/did they need skilled care? Do I have children or a spouse to consider? What is our financial situation? Do I feel comfortable using my nest egg (potentially my children’s inheritance) on care? What is my monthly income, or what will my (estimated) monthly income be when I am most likely to need LTC? Do/Will I qualify for Medicare coverage (and its strict criteria), which partially covers up to 100 days in a skilled nursing facility? How high can I afford my deductible to be, noting that if coverage is for both me and my spouse, this deductible will need to be reached twice (once for each of us) if we both require care? Keep in mind that the average private room in a nursing home will run you somewhere around $250 a day. If an assisted living facility is more likely to meet your needs, that’s a little cheaper. But it still carries an average price tag of $3,550 a month. You also need to remember that skilled care isn’t a permanent need. It’s unlikely that you’ll need these services for more than 5 years (only about 20% of today’s 65 year-olds will), so that probably the maximum amount of time you’ll want to account for when determining your coverage. Related: How Much Life Insurance Do You Need? Related to the above, costs associated with long term care will increase over time. Do you want your benefit level to increase, as well? In many cases, you can elect a “benefit increase” option to help keep pace with inflation, though this will likely come at a cost. Still, this is worth at least considering, especially if you buy a policy relatively early. The elimination period is a bit like a deductible. You’ll have to pay for the care yourself (out-of-pocket) for a set period of time before your LTC benefits kick in. Elimination periods can vary from 0-365 days, though 90 days seems fairly common. Note that you can typically only count those days on which costs were actually incurred. This means that you can’t just pay someone to come in once a week for 3 months and still satisfy a 90-day elimination period. Once the benefits kick in, do you need to keep paying the premium? In some cases, yes, in other cases, no. In my parents’ case, the waiver of premium appears to only kick in after they’ve spent 60 days in a nursing home. It doesn’t appear to apply to in-home health care (though, I’m still trying to track this down). This is a bit of a bummer, but it is what it is. Be sure to check your policy’s terms and find out what your coverage dictates. Finally, depending on the policy that you choose, there may be a maximum lifetime benefit. This limit can be defined either in terms of a total dollar amount, or a set number of years over which the policy will pay out. Choose carefully, as you may live longer than you expect, and these costs really add up over time. 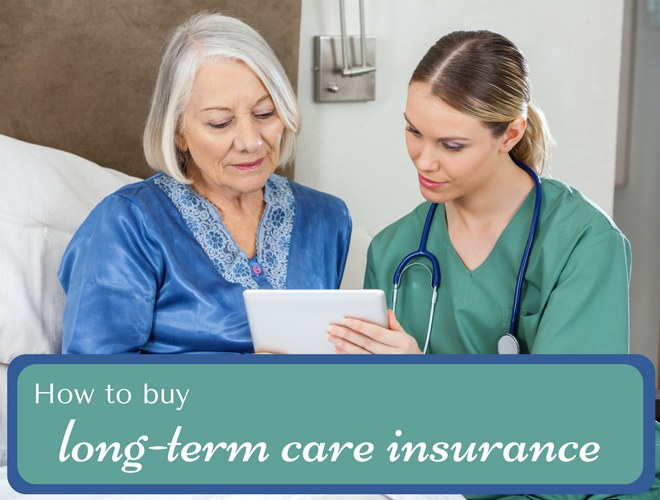 At the end of the day, long term care coverage is like all other insurance policies: you need to read the fine print and know what you’re buying before you write that first check. Considering how many adults will end up needing long term care, it’s smart to begin shopping around for a policy in your late 40s. You don’t want to buy too soon and waste money on coverage, but you also can’t wait too late, when premiums jump in price. Do you have any tips for other readers looking into long term coverage? Leave them in the comments below! Research has shown that there are too many companies selling LTC insurance to support the market. No one seems to want to be left out of any expected explosion of policy purchasing. That explosion never happened, and as a result, companies are dropping out of the area, some letting other companies take over their policies ( e.g. Travelers). This has resulted in some nasty surprises for policy holders including rate increases. 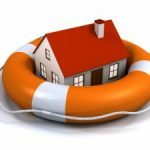 Recently, Metlife has announced they will stop offering policies and big John Hancock has stopped selling group LTC policies. Allianz has stopped selling LTC policies without some insurance or annuity attached. So, in choosing a policy, you want to consider how long the company has been selling and how many policies in force–not easy to ascertain–on the theory that a company with a big presence in the LTC business will not drop out. Event with that, John Hancock has in 2011-2012 announced up to a 40% increase in premiums–a nasty surprise for policyholders. Great post! somr LTC insurance offer family member traning to care for parrents and pay for it also pay the family member to do it for a period, you might look into that option. Thank you! This is such a personal topic and I appreciate you sharing. My mother is in her 60s with almost no financial cushion and this scares the daylights out of me. Just bought some for myself @46. Once your kids are launched (and presumably your house paid off) it would be the best way to not encumber your children so they can take care of the next generation. I have an only child so he “gets” to take care of 2 parents and 4 grandparents. Great post. I am 51, so this is pertinent NOW. As with all kinds of insurance it is a bet against risk. Having dealt with my own mother, and now my mother-in-law, and with scores of friends confronting their parents healthcare aging issues, it is a very real issue. Thanks for pointing out the issues.